Re-reading Foucault: On Law, Power and Rights is the first collection in English fully to　address the relevance of Michel Foucault’s thought for law. 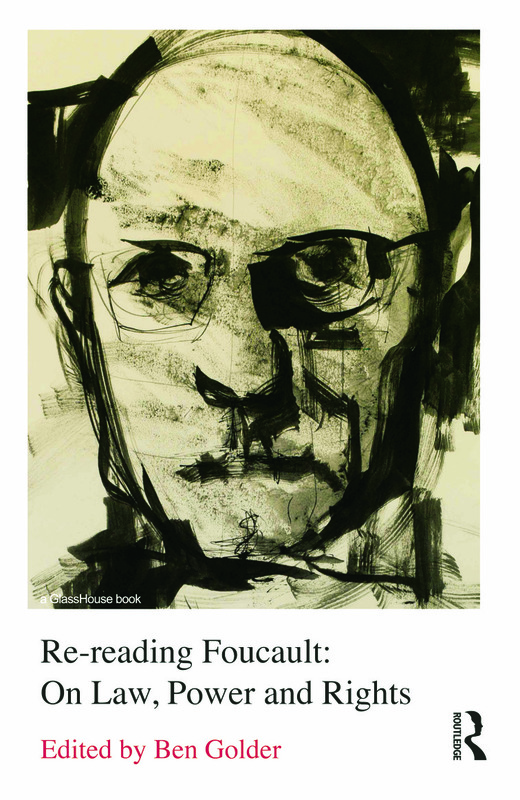 Foucault is the best known and most cited of the late twentieth-century’s ‘theory’ academics. His work continues to animate a range of different critical work across intellectual disciplines in the arts, humanities and social sciences. There has, however, been relatively little examination of the legal implications and applications of Foucault’s work. This book fills that gap, providing an in-depth analysis of Foucault’s thought as it pertains to a range of different legal themes, such as: the opposition between ‘law’ and ‘the juridical’; the problem of moral and legal judgment; the historical basis of rights; and the political dimensions (and limitations) of contemporary human rights discourse. Including contributions from acknowledged experts on Foucault’s work, as well as pieces by younger scholars, Re-reading Foucault: On Law, Power and Rights will be of considerable interest across a range of disciplines, including law, philosophy, political theory, sociology, social theory and criminology. Part One: Law, Judgment and the Juridical:1.Expelled Questions: Foucault, the Left and the Law, Colin Gordon; 2. Foucault’s Other Law, Peter Fitzpatrick; 3. Encounters with Juridical Assemblages: Reflections on Foucault, Law and the Juridical, Alan Hunt; 4. Law, Literature, Morality: Michel Foucault and the Problem of Judgment, Lissa Lincoln; Part Two: Sovereignty, Surveillance, Biopolitics: 5. Sovereignty by Acquisition at the Cape: Foucault, Hobbes and de Mist, George Pavlich; 6. The Status of the Gaze in Surveillance Societies, Veronique Voruz; 7. The Birth of Biopolitical Justice, Pat O’Malley; Part Three: Rights, Counter-Conduct, Revolution? ; 8. Michel Foucault and the Question of Right, Philippe Chevallier (translated by Colin Gordon); 9. Chapter Nine: Historical Normativity and the Basis of Rights, Paul Patton; 10. ‘Is Revolution Desirable?’: Michel Foucault on Revolution, Neoliberalism and Rights, Jessica Whyte; 11. Human Rights as Technologies of the Self: Creating the European Governmentable Subject of Rights, Bal Sokhi-Bulley.